This page is about the British jet fighter Sea Hawk FGA.6. 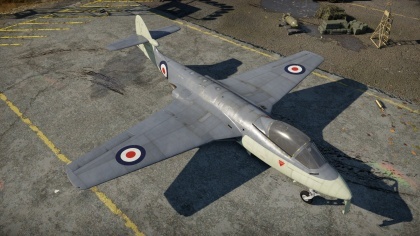 For German premium version, see Sea Hawk Mk.100. The Sea Hawk FGA.6 is a Rank V British jet fighter with a battle rating of 7.7 (AB/RB) and 7.3 (SB). It was introduced in Update 1.87 "Locked On". 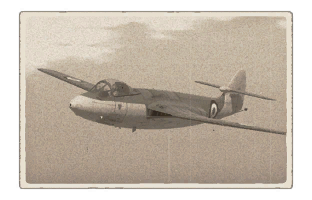 The Sea Hawk FGA.6 can be outfitted with the following ordinance"
Already by the end of WW2, Hawker began working on their first jet-propelled aircraft as the new jet propulsion technology became available. As a basis for their new aircraft, they took the Hawker Fury and began adapting it to house a turbojet engine. The project received the designation P.1035.. This page was last edited on 21 March 2019, at 15:49.